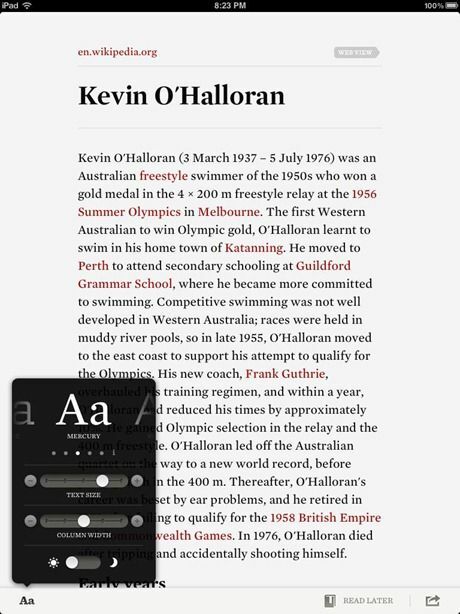 Readability, the well-known article-reading web app, has just launched a beautiful iOS app for the iPad, iPhone and iPod Touch. The app provides a clean, clutter-free reading environment for the web, along with a reading-list service which allows you to save articles for reading later from multiple devices, sync your reading list across all devices and read from anywhere. 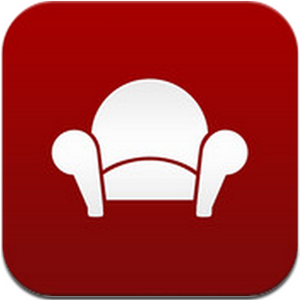 The iOS app includes a built-in web browser from which you can search for any webpage. Once you find an article you wish to read, click the “Read Now” button to enjoy a readable version of the article, devoid of any images and unnecessary clutter. You can then easily control the text size, column width and background color (light or dark). You can also choose “Read Later” to add an item to your reading list. Readability is a popular platform, and is already used by many third-party apps such as Pulse and Tweetbot. Using the native iOS app along with the Readability Chrome add-on, Readability can become a service not unlike Instapaper or Read It Later, which you can use to save articles for later, and then read them on a clean interface from any device you choose. You can also share on Twitter and Facebook from within the app. There’s no native Android version of the app yet, but Android users can make use of the mobile web version of Readability, which is also quite good. Let us know what you think of the new app, and how you think it shapes up next to services such as Instapaper and Read It Later.